Over the last couple of weeks I've had the chance to test out three different thermostats in my S15, genuine and after-market. They all have pros and cons, all of it really depending on the cooling system as well as main use of the car. 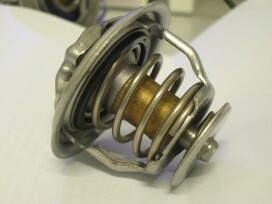 Just some background info... all thermostats were tested in my S15. 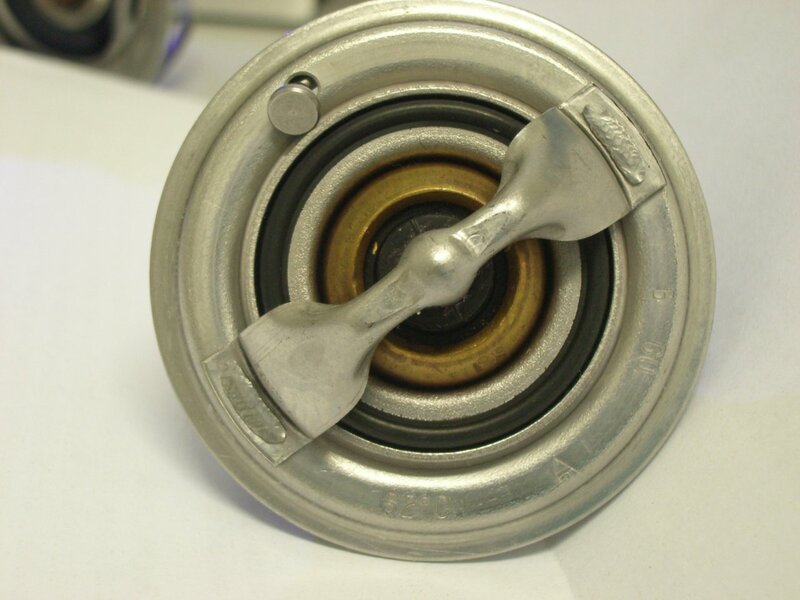 Producing 230rwkw from various engine modifications, is equipped with a 42mm thick radiator and dual thermo fans. The fans switch on at 85°C and turn off at 80°C. 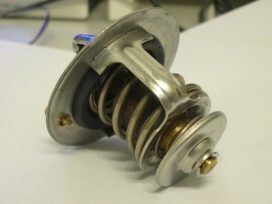 This is the factory thermostat, starts to open at 76.5°C and will be fully open by 90°C. With a standard clutch fan installed, this thermostat is perfectly fine and will not cause any issues. However, when used in a car with a thicker aluminium radiator and thermo fans, I found that it didn't flow quite enough. 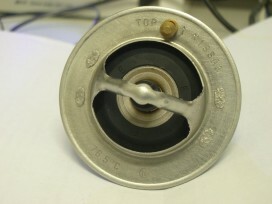 This caused increased temperature fluctuations from 80°C to 85°C. In track conditions, the fully open temperature of 90°C is a bit too late and may cause slight overheating depending on engine load. I decided to test out the Nismo 62.5°C because I was finding the factory one wasn't flowing quite enough at around 80-82°C. This decision seemed like a good one, because as soon it was installed I found that flow was much better and temperature fluctuations were reduced. My warm-up time from cold weren't affected too much as the thermo fans aren't on until 85°C anyway, whereas a clutch fan would already be cooling down the coolant (clutch fans are still working at 20-25% capacity when "off"). Now the problem I had with the Nismo thermostat was that it allowed water temps to drop very low when travelling at 100km/h and ambient temperature at around 10°C, even though both thermo-fans are turned off. In track conditions, the Nismo thermostat would be the best choice as it allows cooling to happen before the engine can reach high temperatures. I was sceptical about using a non-genuine thermostat, especially after having some bad experiences with a Tridon thermostat in my Daihatsu Feroza. But the Tridon High Flow thermostats seems to be a good idea for modified cars. They still open at the factory 76.5°C, so still great for a daily car, but they have a slightly larger valve and their fully open temperature is reduced. From my testing, I found that around 84-85°C the Tridon was fully open already. Driving around town, I found that temperatures fluctuated a lot less than both the Nissan 76.5°C and Nismo 62.5°C thermostats. Less fluctuations also meant that the thermo-fans cycled on/off a lot less too. So there you go, the Tridon offers the best of both worlds. Opens at the normal temperature but flows a lot more by fully opening earlier. 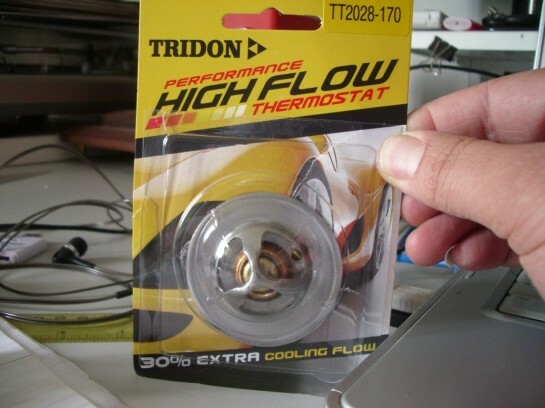 As for track conditions, will be heading to the track this Sunday to test out the Tridon. Will update with results. Awesome write up mate. Looking forward to the results after your track day.